The current asking price for the 5,185-square-foot residence is $4.1 million. In the mid-1900s, successful shipwright John Rados purchased a 1.268-acre hillside lot that would allow him to look out over the Port of Los Angeles where his company, Harbor Boat Building Co., operated. Soon thereafter, Rados commissioned famed modernist Richard Neutra to design a house for the site. 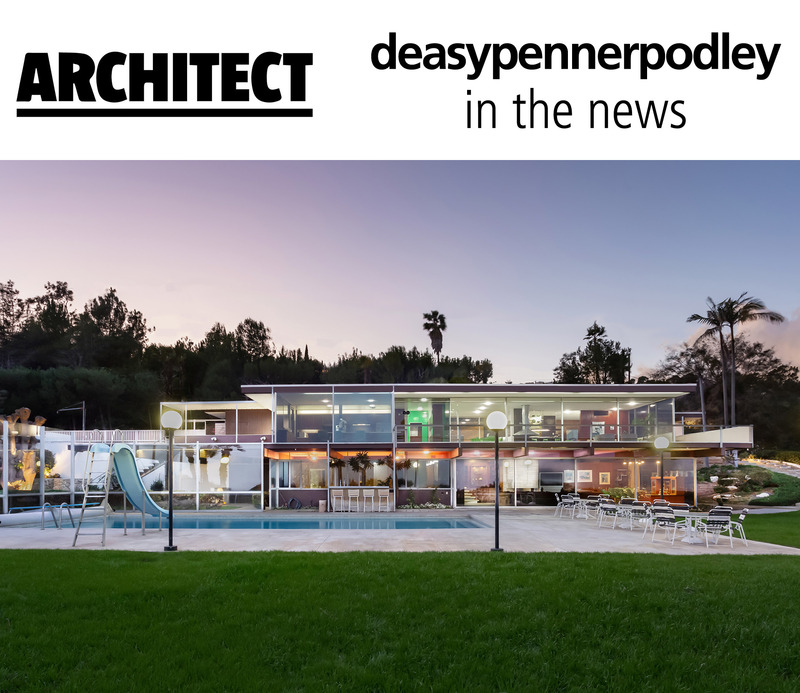 “For Rados, Neutra’s designs embodied postwar unpretentiousness, technological advances, and adaptability to a newly redefined world,” a current real estate listing writes. In 1957, Neutra completed the 5,185-square-foot residence offering Rados 270-degree views of the city through its floor-to-ceiling windows. Elements of Rados’ livelihood are prominently featured through the house, including marine-grade mahogany wood beams, Terrazzo flooring, and a repurposed porthole window and door from one of the Harbour Boat Building Co.’s ships that serve as a doorway to an oversized swimming pool. The house’s expansive windows dominate much of the house’s stone and slatted wood siding façade.